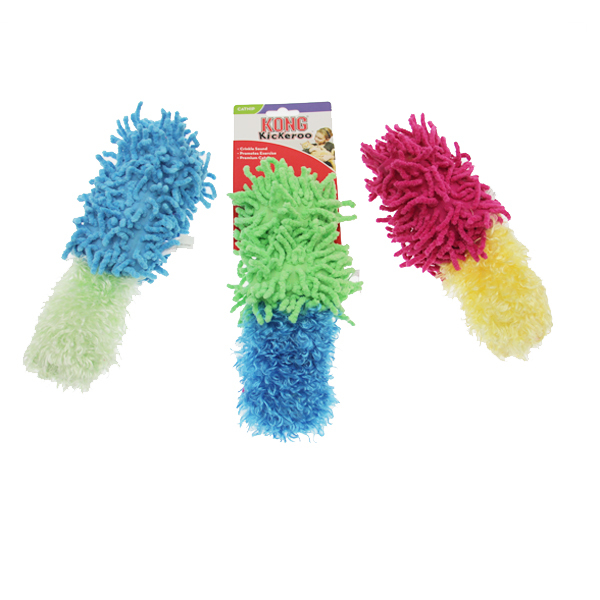 Watch your cat attack, wrestle and snuggle with its KONG® Moppy Kickeroo. 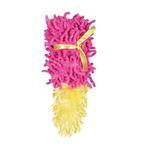 This unique cat toy appeals to a cat's instinctive desire to stalk and capture prey. The Kickeroo size, shape and material were specially chosen to promote wrestling and hind paw kicking. The fluffy tail provides movement for extra excitement. Not to mention that there is a generous amount of KONG's potent North American grown catnip that has been added to further encourage play. Available in assorted colors, please allow us to choose for you.